Relax in Sicily! Save the stress and take a timely, comfortable and cheap transfer and shuttle service! 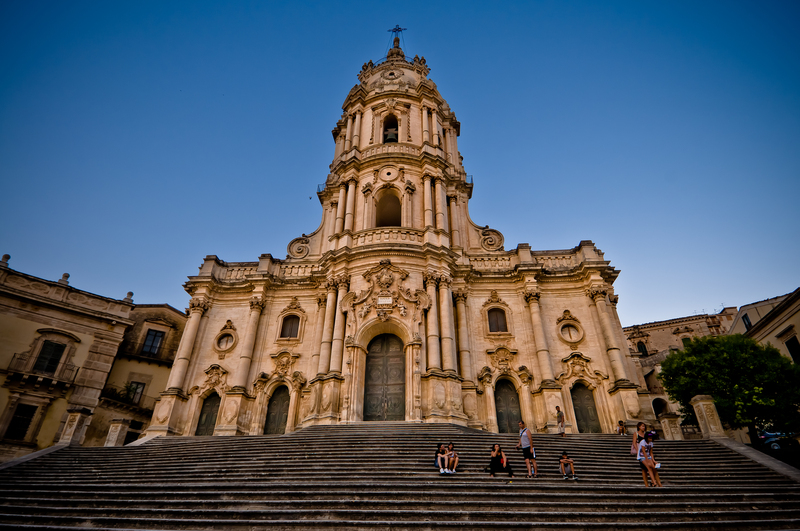 Sicilydaybyday offers reliable transfer and shuttle service anywhere in Sicily. Taxi, transfer and shuttle service made by Sicily day by day is the most relaxing way to discover Sicily! We offer Transfer and shuttle service from Catania, Taormina, Siracusa and other departures in eastern Sicily, to all Sicilian places, both for groups and for individuals. Select your departure and destination, the system will automatically calculate the cost of the service. 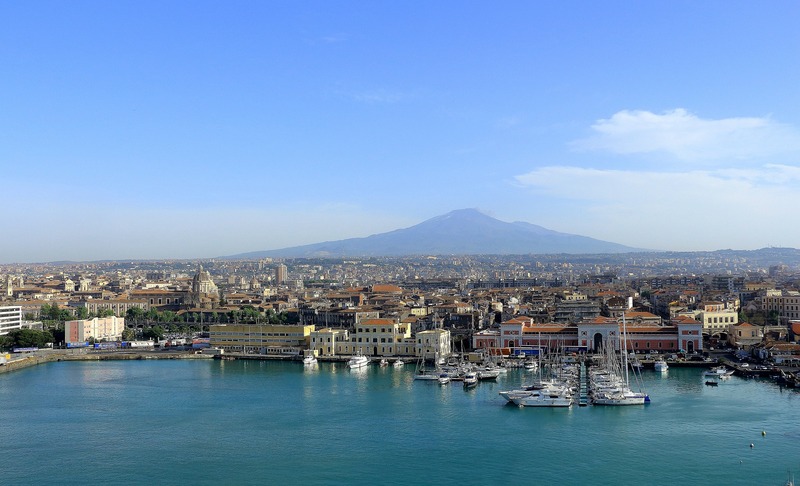 The city of Catania stands at the foot of the Etna volcano; it was founded by the Greeks of Calcidia, the ones that founded Naxos. Catania has been destroyed several times in history by the lava eruptions of the volcano; beneath the last reconstruction of the Baroque age (XVII century) it is possible to find the archaeological remains of the Greek and Roman times. It is a lively city with an unstoppable nightlife; Being sea and port town, Catania welcomes thousands of tourists throughout the year. Catania is about 54 km far from Taormina, it takes about 50 minutes to reach Catania from Taormina. Etna is a volcanic complex and represents the highest active earth volcano (about 3350 mt) of Eurasian plaque. It ranks as a shield volcano with effusive activity, but explosive phenomena have been found: its frequent eruptions throughout history have changed the landscape, threatening the surrounding settlements (the city of Catania and Etna’s towns). 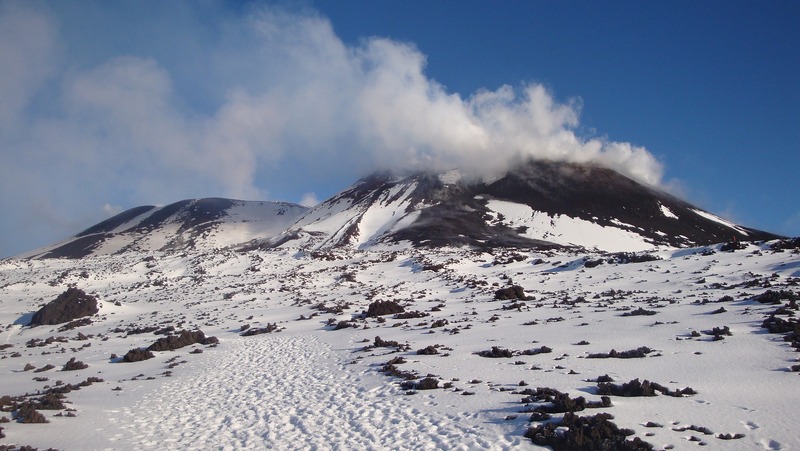 The volcano is a popular tourist and sporting destination: on its surface there are several tourist and sports facilities as shelters, cable car, ski resorts in the south and north, trails for hiking and Etna Park. Etna is located in the territory of Catania: the main reference point to reach is the Sapienza shelter, which is 35 km far from the center of Catania and 55 km from Taormina; reaching the shelter takes about an hour from the center of Catania and 1:10 h from Taormina. Riposto is located on the Ionian coast of Sicily, in the province of Catania. Its name comes from the Sicilian dialect and it means “closet, cellar”: in fact it has always been a commercial port. 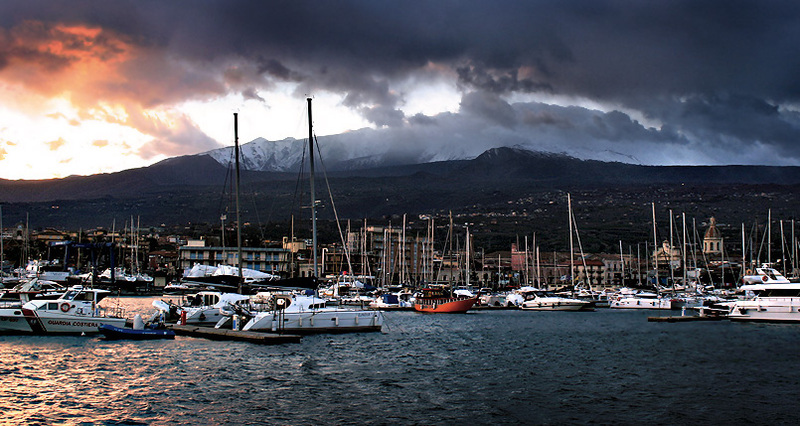 It has a large and modern marina called Marina di Riposto (or Porto dell’Etna). Riposto is far 35 km from Taormina and 31,7 km from Catania; reaching Riposto takes 40 min from Taormina and 35 min from Catania. Giardini Naxos is a town in the province of Messina and it might be the first Greek settlement in Sicily along with Zancle (nowadays Messina). 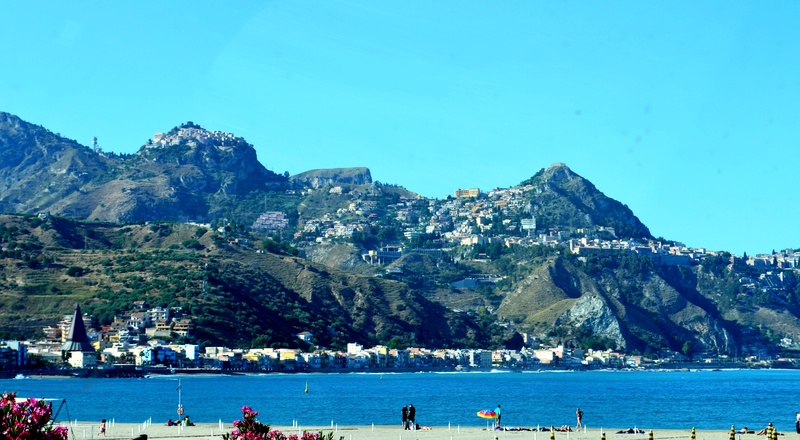 Giardini Naxos is a fascinating tourist destination for its extensive shoreline that alternates free beaches with private beaches and there you can find lots of restaurants and pizzerias. In Recanati district there are luxurious hotels and resorts. Giardini Naxos is far 39 km from Catania and 10 km from Taormina; Reaching Giardini Naxos takes 1:20 h from Catania and 15 min from Taormina. Taormina is a town on the Ionian coast of Sicily and it is a famous tourist destination. It is known also as the Ionian Pearl and it has been hosting the Grand Tour and the G7 recently. The town of Taormina is appreciated not only for the stunning scenery and the wonderful archaeological sites of Greek-Hellenistic and Roman times such as the Ancient Theater, but also for its nightlife, discos, restaurants and it is also a shopping spot. Taormina is far about 54 km from Catania; it takes about 50 minutes from the A18 to reach the town from Catania. Milazzo is a town in the province of Messina, and it is located 40 km west of it. Historically famous for the battle of Milazzo during the Italian Risorgimento, it is an excellent port for ferries and hydrofoils to the Aeolian Islands. Milazzo is far 130 km from Catania and 86 km from Taormina; reaching Milazzo takes 1:40 h from Catania and 1:10 h from Taormina. 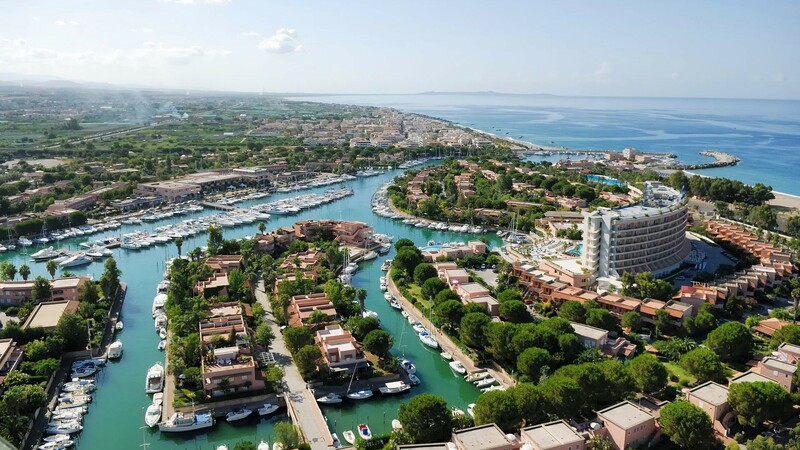 Portorosa is a wealthy resort featuring villas, surrounded by greenery, overlooking the waterways along which there are moorings that make up a prestigious marina. 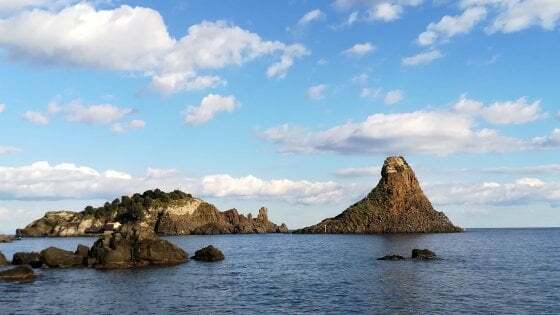 It is located in the most recessed bay between the Gulf of Milazzo and Tindari, it is part of the municipality of Furnari, in the province of Messina. Portorosa is far about 107 km from Taormina and 150 km from Catania; reaching Portorosa takes 1:30 h from Taormina and 2 h from Catania. Siracusa is a city on the extreme south of the Ionian coast of Sicily. Ancient Greek colony, it was the birthplace of great and illustrious men like Archimedes. It boasts many archaeological sites of the Greek and Roman times, but also a baroque style architecture, marvelous beaches and natural reserves, such as the Valle dell’Anapo, Fontane Bianche and the Plemmirio. 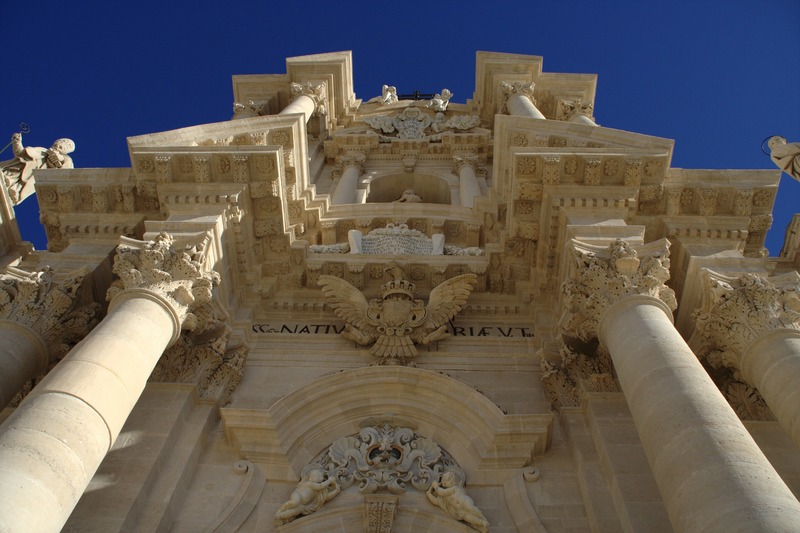 The island of Ortigia is the oldest part of the city of Siracusa and it was the first settlement of the Corinthians. Siracusa is far about 120 km from Taormina and 67 km from Catania; it takes about 1:20 h to reach it from Taormina and 55 min from Catania. Noto is a town in the province of Siracusa (31 km from the city), in the southeastern coast of Sicily. 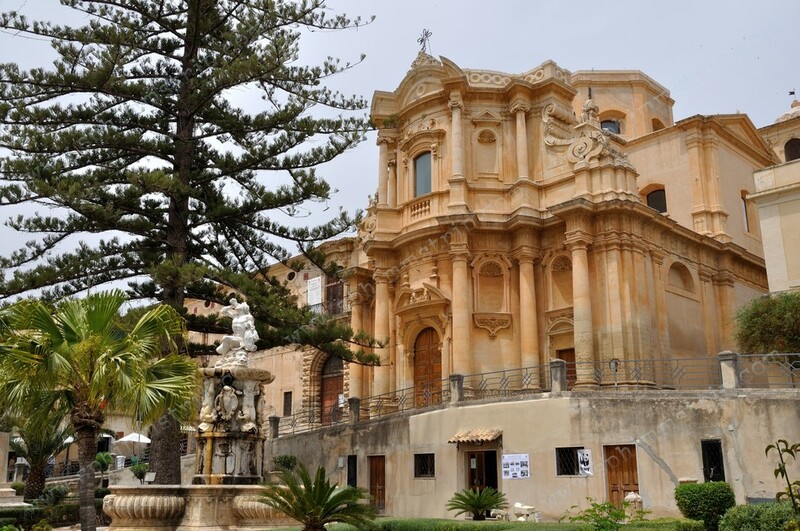 It is defined as the Capital of Baroque for the presence of numerous religious buildings in Baroque architectural style, built after the terrible earthquake of the Noto Valley of 1693. Noto is 93 km far from Catania and 145 km from Taormina; it takes 1:13 h from Catania and 1:48 h from Taormina to reach Noto. Modica is a town in the province of Ragusa; until the 19th century it was the capital of the Modica County, which has exercised such a wide political, economic and cultural influence that it has been counted among the most powerful feuds in the Southern Italy. As a result of the contamination of the various cultures that have dominated Modica and all Sicily, the city has many gastronomic specialties, but it is mainly known for the production of typical Aztec chocolate. Modica is far 179 km from Taormina and 126 km from Catania; reaching Modica takes 2:10 h from Taormina and 1:40 h from Catania. 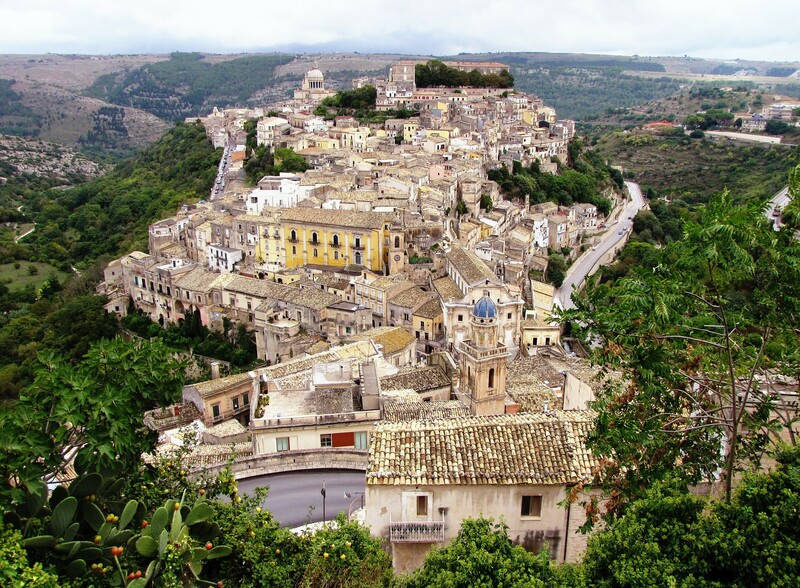 Ragusa is a town located in the southern coast of Sicily, first Province now Free Consortium. In 1693, the devastating earthquake in Val di Noto caused the almost total destruction of the entire city; It was rebuilt in the eighteenth century and it was divided into two main areas: an upper Ragusa, located on the upland and Ragusa Ibla, risen from the ruins of the city and rebuilt according to the ancient medieval structure. The city is one of the most important sites for the presence of evidence of Baroque art, like its churches and its eighteenth century buildings. Ragusa is 104 km far from Catania and 158 km from Taormina; reaching Ragusa takes 1:30 h from Catania and 2:10 h from Taormina. 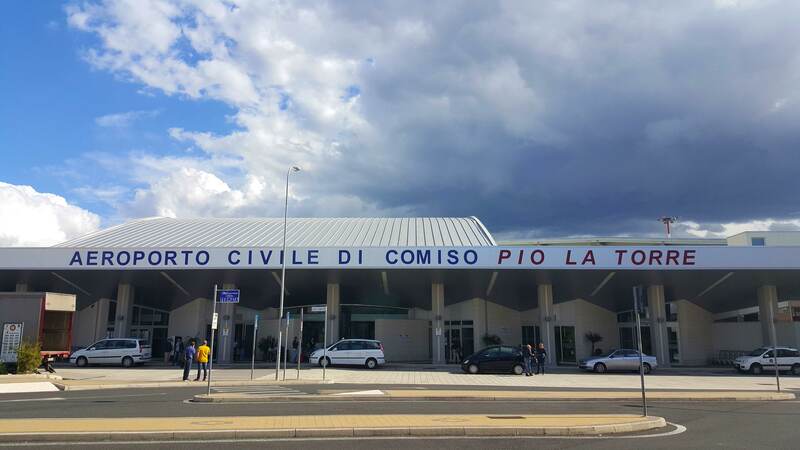 Comiso Airport is named after the politician Pio La Torre (killed bu the Mafia) and it is 5 km far from the city of Comiso and 15 km from Ragusa. It was born as a military airport and from the 1980s until the late 1990s it was a NATO base. 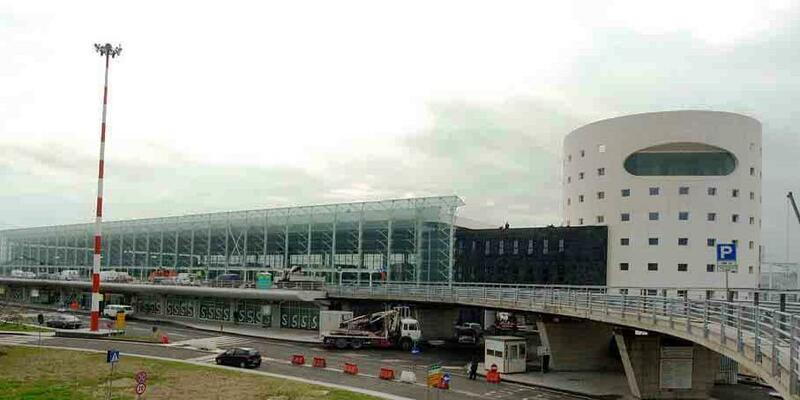 Today acts as a civilian airport, complementary to the airport of Catania-Fontanarossa, and it serves also as a base for charter flights and cargo companies. Comiso Airport (Pio La Torre) is far 90 km from Catania and 143 km from Taormina; Reaching Comiso Airport takes 1:20 h from Catania and 2:00 h from Taormina. Agrigento is a city in the southwestern coast of Sicily. 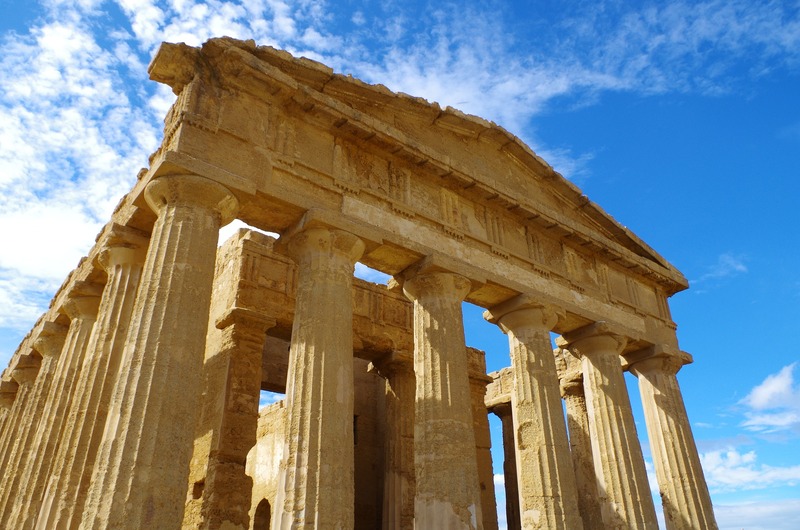 Since it is an Ancient Greek colony (Akragas), it has got an invaluable archaeological heritage of the Greek Age, the Valley of the Temples above all. Cradle of Culture, it gave birth to the philosopher Empedocle, writers Luigi Pirandello, Leonardo Sciascia and Andrea Camilleri. Agrigento is far 167 km from Catania and 220 km from Taormina. It takes 2:15 h from Catania and 2:50 h from Taormina to reach Agrigento. Palermo is the capital of the Sicily region and it stands on a plain (Conca d’Oro). Founded by Phoenicians, it has been conquered by the Romans, then by Vandals, Byzantines (in ancient times), by Saracens and by Normans during the Middle Ages; in the Modern Age hosted several royal houses such as the Swabians and Angevins and then it has been dominated by the Spaniards. The greatest architectural beauties are from the Arab-Norman Age: the Norman Palace is home to the Sicilian Regional Assembly. Palermo is far 260 km from Taormina and 208 km from Catania. To reach Palermo it takes 2:50 h from Taormina and 2:20 h from Catania. Messina is a city in the far north-eastern cape of Sicily on the Strait of Messina overlooking Calabria and the rest of the Italian peninsula. It was a Greek colony (Zancle) and that is where is located the legend of Scylla and Charybdis, the two sea monsters. 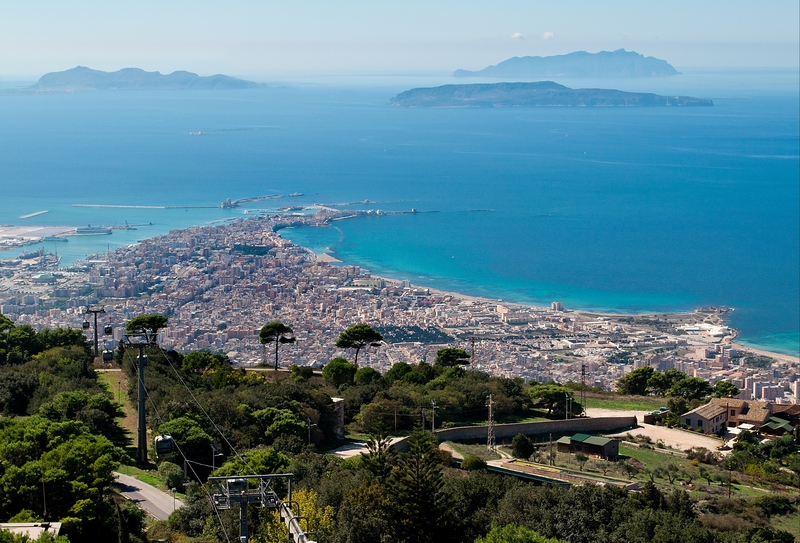 From Messina – Villa San Giovanni there are departures for ferries to the Italian peninsula and to the Aeolian islands. Messina is far 96 km from Catania and 53 km from Taormina; reaching Messina takes need 1:15 h from Catania and 52 min from Taormina. Aci Trezza is a town in Sicily, southern Italy, a frazione of the comune of Aci Castello, c. 10 km north of Catania, with a population of around 5,000 people. 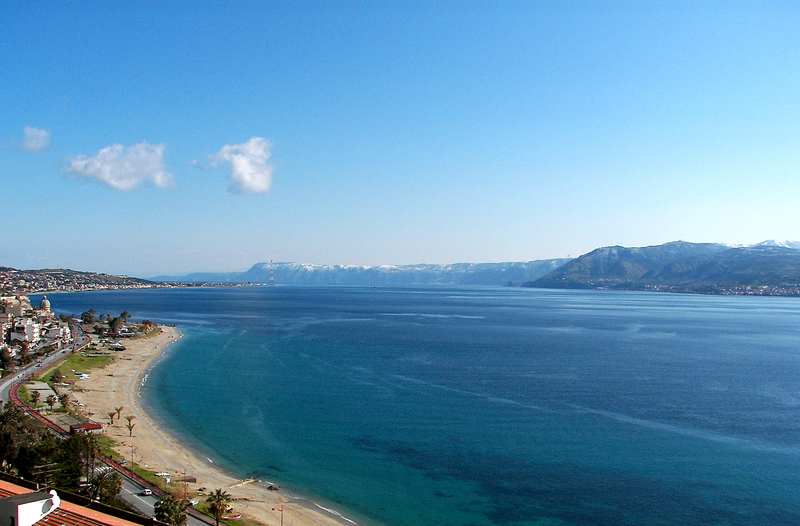 Located on the coast of the Ionian Sea, the village has a long history of maritime activity. Aci Trezza is a popular spot for Italian vacationers in the summer. The patron Saint of the town is St. John the Baptist. The Festa of San Giovanni is celebrated each year during the last week of June 24 in his honor. Aci Castello is a comune in the Metropolitan City of Catania in Sicily, Italy. 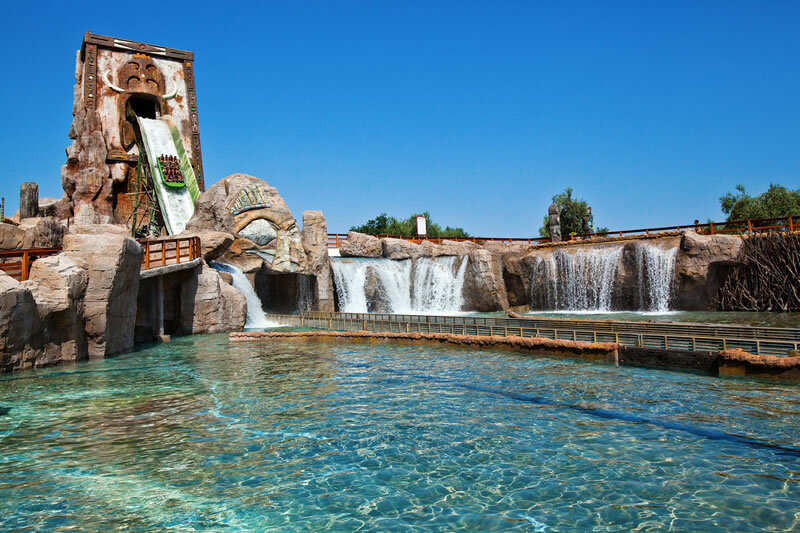 The city is located 9 kilometres (6 mi) north of Catania on the Mediterranean coast. The primary economic sectors are agriculture and industry (in Catania). The city is neighbored by Aci Catena, Acireale, Catania, San Gregorio di Catania and Valverde. The town of Aci Castello developed around the castle, which was built in 1076 by the Normans upon the foundations of a 7th-century Byzantine fortification. In 1169, Aci Castello started to expand after an eruption of Mount Etna made the towns in its vicinity uninhabitable. The castle later became the property of the bishops of Catania. In 1296, Roger of Lauria, admiral of the Aragonese fleet during the War of the Sicilian Vespers, was granted the fief of Aci and its castle as a reward for his faithful service to King Frederick III of Sicily. When relations between the two men soured and di Lauria transferred his loyalties to the Angevins, the castle was besieged and captured by King Frederick and di Lauria stripped of his fiefs. In 1320, the castle and Aci were taken from Roger’s descendant, Margaret of Lauria and given to Blasco II de Alagona. Whilst the latter was away defending Palermo from the attacking Angevins, Bertrando di Balzo sacked Aci in his absence. Cefalù, the classical Cephaloedium, is a city and comune in the Italian Metropolitan City of Palermo, located on the Tyrrhenian coast of Sicily about 70 km (43 mi) east of the provincial capital and 185 km (115 mi) west of Messina. The town, with its population of just under 14,000, is one of the major tourist attractions in the region. Despite its size, every year it attracts millions of tourists from all parts of Sicily and also, from all over Italy and Europe. Pozzallo is a town in the province of Ragusa, on the southern coast of Sicily, and is 33 km from it. By boat you can reach the island of Malta, which is only 150 km away. The name is of Arabic origin, as it was a territory dominated by the Saracens. An architectural structure of remarkable charm is the Cabrera Tower, in the past defense tower from the Pirates of the Mediterranean. Pozzallo is 118 km far from Catania (via E45) and 171 km from Taormina; reaching Pozzallo takes 1:30 h from Catania and 2 h from Taormina. Capo d’Orlando is a comune in the Metropolitan City of Messina, Sicily, southern Italy, one of the main centers of the mountain and coastal Nebrodi area. After the destruction of the Greek colony of Agathyrnum by the Roman Republican Army, the only settlement was a tiny fisherman’s village. In 1925 Capo d’Orlando was elevated to the status of Comune (council), as before it was included in the territory of Naso. A railway station was made during the Fascist era in the early 20th century. During this century the population and tourist development quickly grew. Trapani is a city and comune on the west coast of Sicily in Italy. 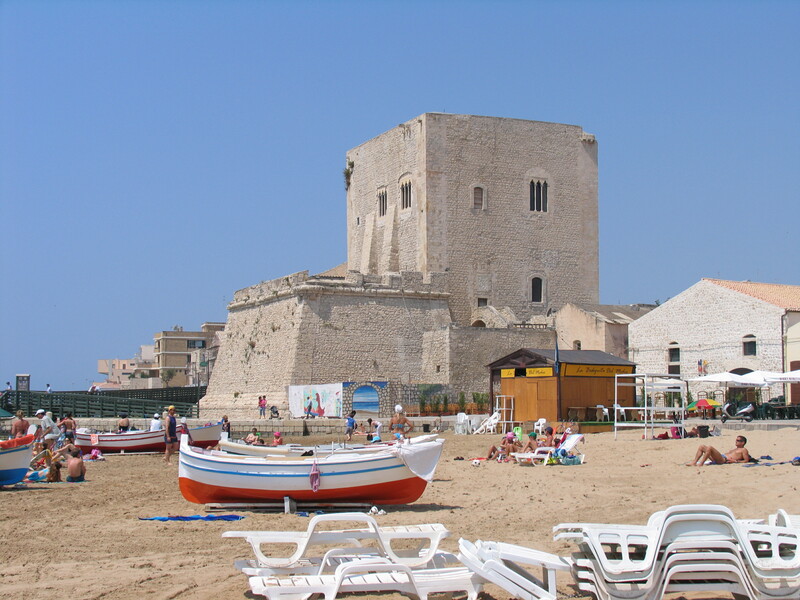 It is the capital of the Province of Trapani. Founded by Elymians, the city is still an important fishing port and the main gateway to the nearby Egadi Islands. Drepana was founded by the Elymians to serve as the port of the nearby city of Eryx (present-day Erice), which overlooks it from Monte Erice. 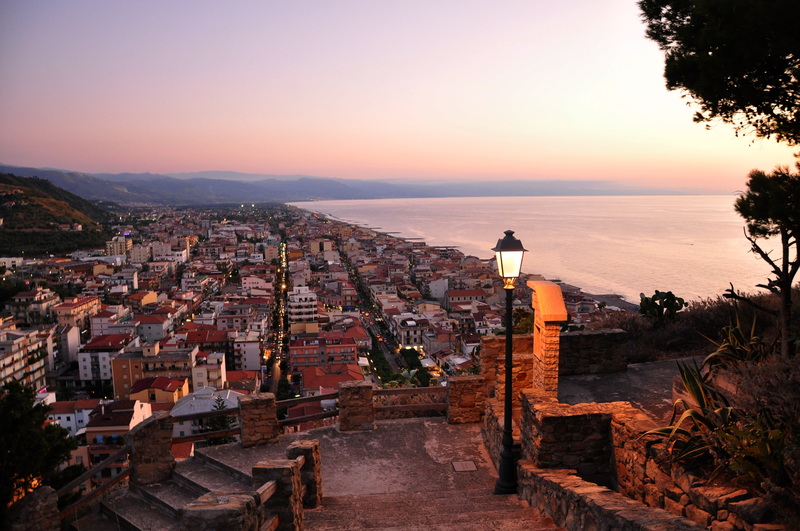 The city sits on a low-lying promontory jutting out into the Mediterranean Sea. It was originally named Drépanon from the Greek word for “sickle“, because of the curving shape of its harbour. Carthage seized control of the city in 260 BC, subsequently making it an important naval base, but ceded it to Rome in 241 BC following the Battle of the Aegates in the First Punic War. Two ancient legends relate supposed mythical origins for the city. In the first legend, Trapani stemmed from the sickle which fell from the hands of the goddess Demeter while she was seeking for her daughter Persephone, who had been kidnapped by Hades. The second myth features Kronos, who eviscerated his father Ouranos, god of the sky, with a sickle which, falling into the sea, created the city. In ancient times, Saturn (i.e., the Punic god Baal Hammon) was the patron god of Trapani. Today, Saturn’s statue stands in a piazza in the centre of the city. Why to book a transfer & shuttle service with Sicily day by day? For a comfortable, safety and relaxing trip in Sicily, choose a local agency with an excellent value for a premium quality! Select your departure and destination, the system will automatically calculate the cost of the service.